Everyone wishes to live in a big and beautiful city and Noida, in the past years has turned out to be one of the most preferred residential destinations for both home searchers and realty designers. People dwelling here would prefer not to move to different urban areas and truly for genuine reasons. The city has a great atmosphere, various job avenues, social and financial security. Also because of its infrastructural advancement, the city is adored by all. 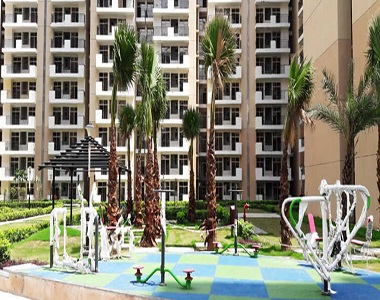 Several leading realty developers have built many beautiful residential projects and the most recent one being the Nirala Aspire developed by the Nirala Group. With best amenities, perfect neighborhood and best price, this housing township can be your ideal decision to put resources into a property in Noida. Located in Greater Noida, this residential development is one of the luxurious housing societies in the city. Residing in an apartment here the dwellers will receive all the benefits of the location. Some of the well-known hospitals, schools, colleges, shopping malls, banks, restaurants, are located in the area. The nearest metro station is just 15 minutes and DND flyover is 25 minutes from the property. The airport can also be reached easily from the location. Individuals who wish to experience a hassle-free life can definitely buy a house in this township. The development consists of 13 diverse floor plans and the price of these beautiful residences can be known only on request. The township offers almost 80% of green cover along with several modern facilities like club, swimming pool, kids pool, tennis court, cricket pitch, palm court, badminton court, Mughal garden, flower garden, rock garden, central lawn amphitheater, skating rink, theme garden and many more.